Fake imports reason for spike in rice import? Ministry of Agriculture and Forests’ officials say fake imports could be the reason for spike in rice import in the country even though Bhutan hasn’t seen a population boom between 2010-14. Fake imports are allegedly carried out by traders in the border to acquire Indian rupee, according to official. While local rice production remained more or less the same, imports have continued to spike in the last five years. 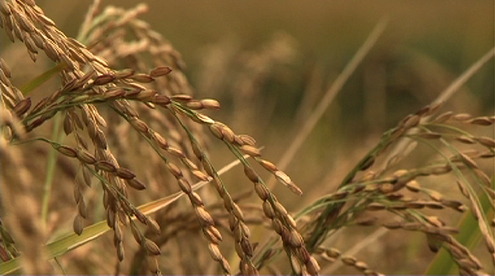 Rice imports increased from 54,000 metric tonnes in 2011 to 79,000 metric tonnes last year. A calculation by the ministry revealed the availability of rice in the country through domestic production and imports far exceeded total requirements of the population. For instance, the per capita rice consumption in 2010 was only 138 kilogram a year, while it reached 177 kilogram a year in 2014. This was more than the highest rice consuming countries in Asia like Vietnam, Laos, and Bangladesh. Vietnam’s per capita rice consumption stood at 166 kilogram a year while it was around 160 for Bangladesh and Laos. The spike in imports has also affected the ministry’s target in improving food self-sufficiency. The official said rice self-sufficiency rate has fallen below 50 percent. The Anti-Corruption Commission is in the process of investigating the issue. It has also been learned that besides rice, all other commodities, which are tax free, have seen spike in imports in recent times.